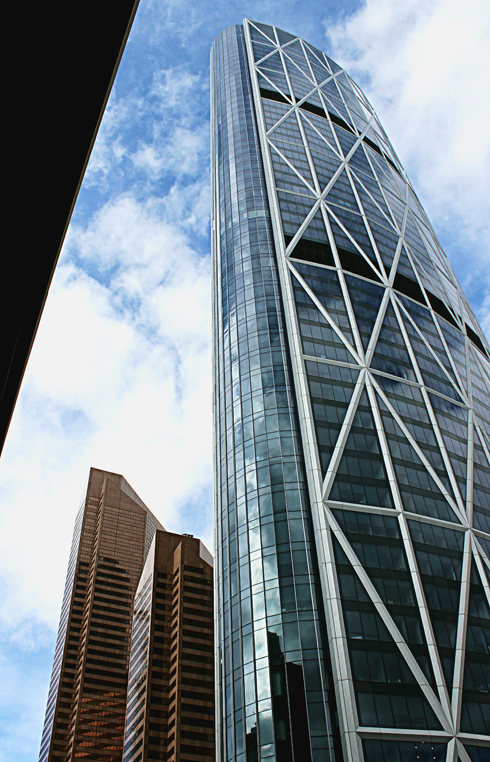 Completed in 2012, the Bow tower is a 58 floor (236m) skyscraper located in downtown Calgary, Alberta. 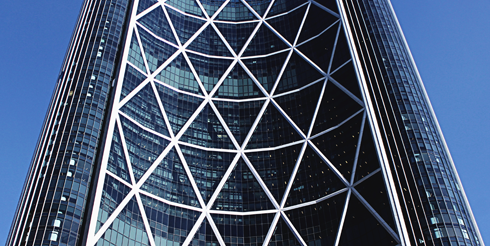 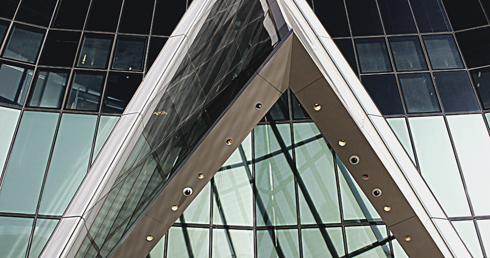 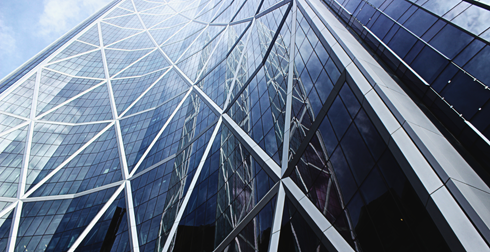 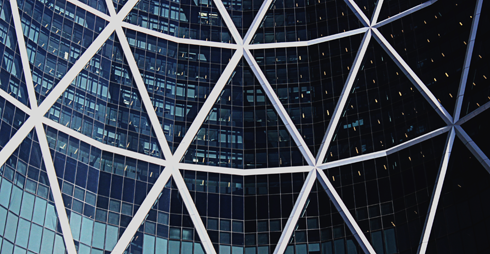 Named after it's crescent shape and view of Calgary's Bow River, the Bow has been hailed for its bold architecture and height. 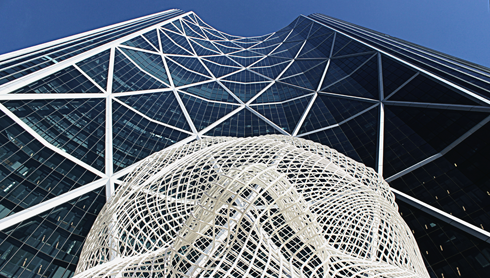 It became the tallest structure in Calgary for a short time, before being surpassed by Brookfield Place, which is due to be completed in 2017. 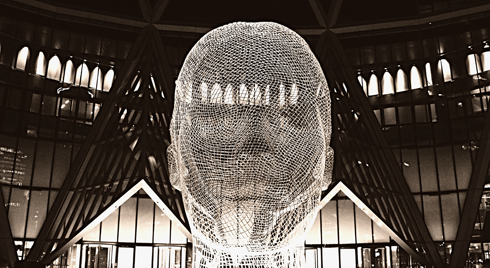 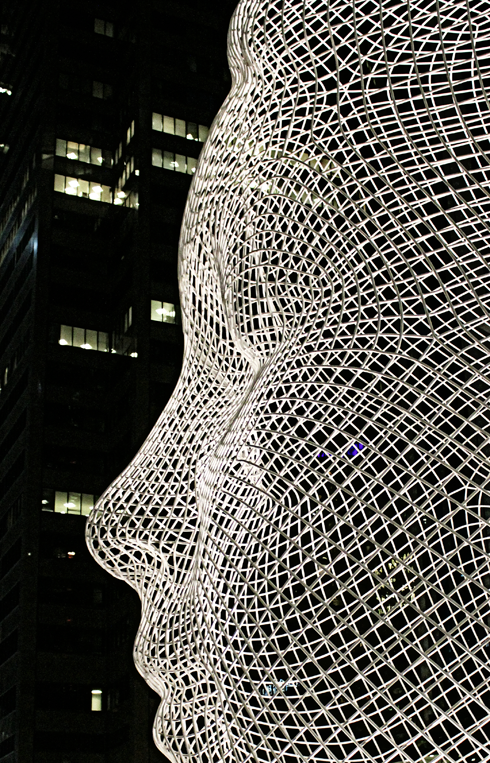 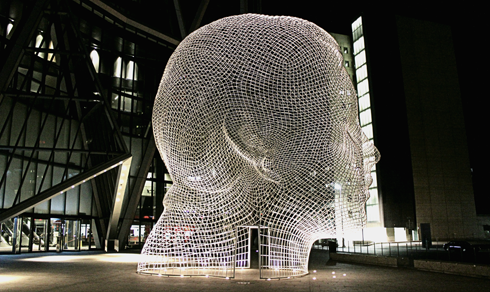 Another claim to fame for the Bow tower is the impressive Wonderland sculpture by Jaume Plensa, a Spanish artist and sculptor. 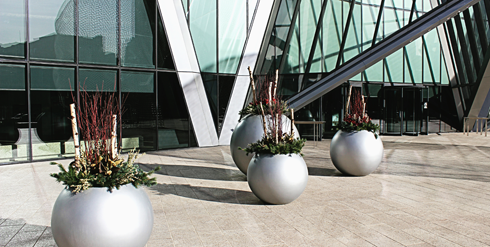 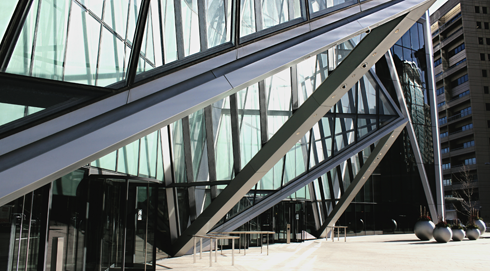 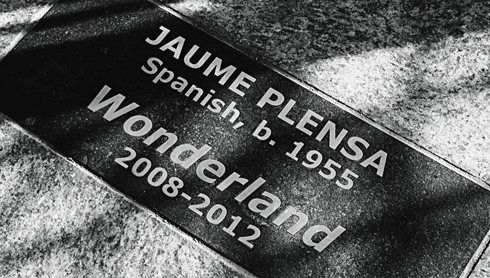 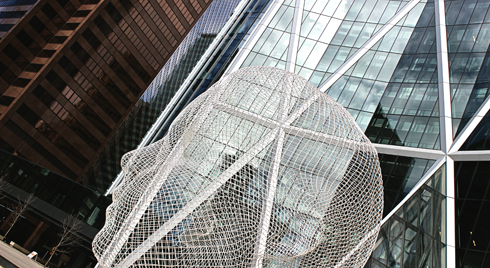 Wonderland was unveiled in 2013 and is located in the the Bow's south plaza. 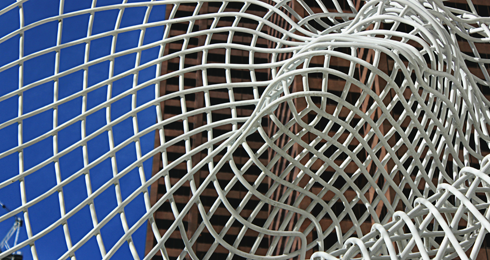 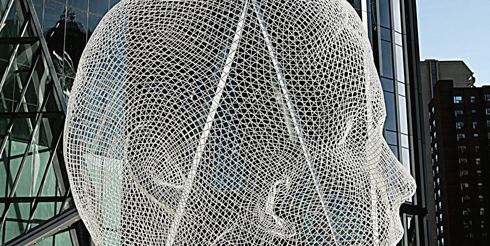 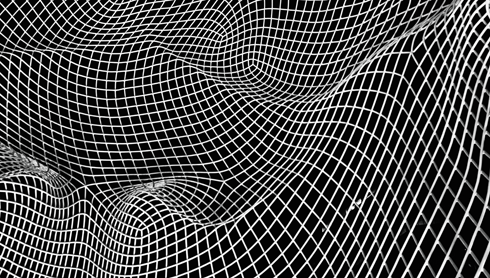 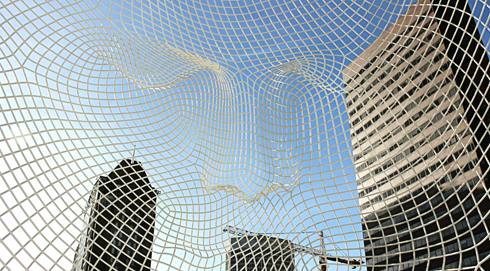 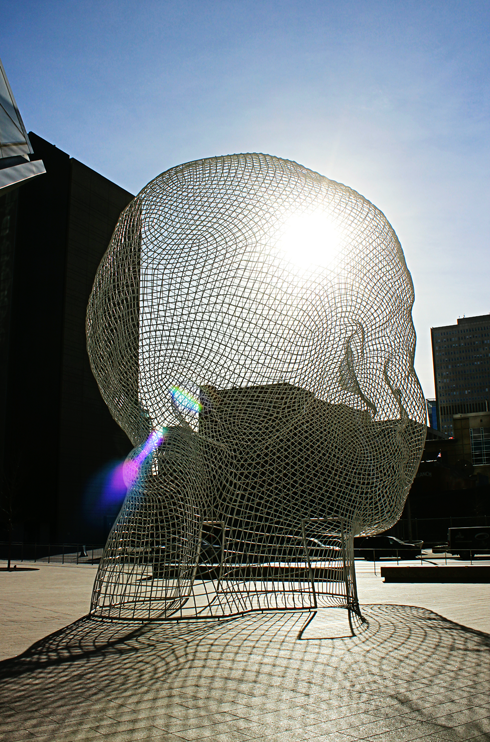 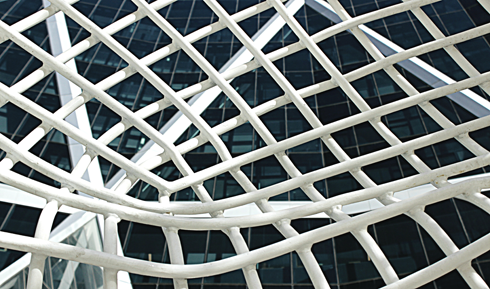 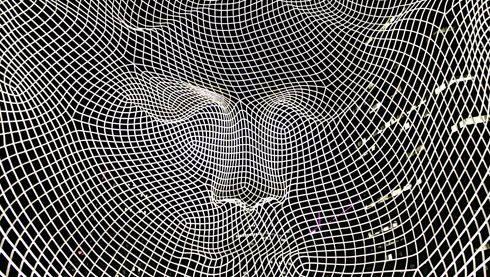 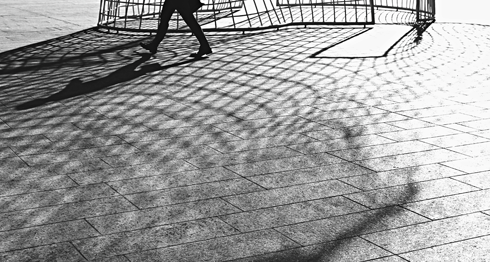 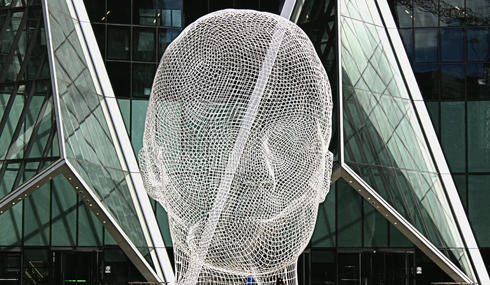 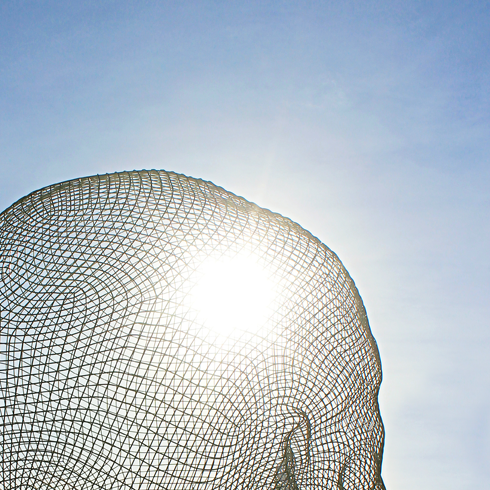 The 12 metre geometrical mesh head is a striking feature that visitors can walk around and even go inside of for some unique perspectives. 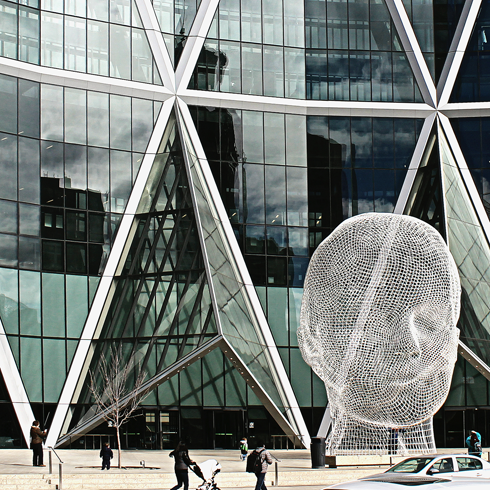 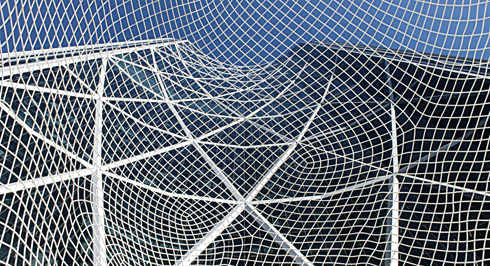 Wonderland has quickly become a Calgary landmark, making the Bow even more of a downtown centrepiece. 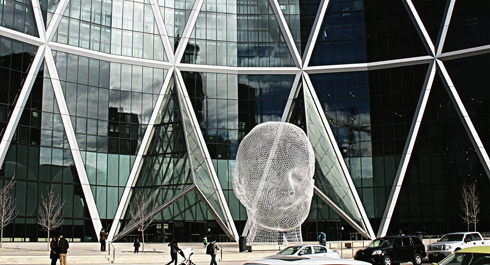 It was after seeing the national attention that both the Bow and Wonderland had received that I knew they'd make great Calgary additions to my Around Alberta series.